Using a fork, pierce the potatoes all over, wrap in tinfoil and place in oven. Bake for 45 mins – 1 hour depending on the size of your potatoes. Sprinkle 1/3 cup additional flour on your work surface. Remove potatoes from oven and peel tinfoil carefully – potatoes will be HOT! Once tinfoil is removed, peel skin from potatoes and discard. Rice potatoes into a large mixing bowl and add the parmesan cheese, cinnamon, 2 egg yolks, salt, pepper and gradually add flour until a you have a soft dough. On your lightly floured work surface, divide the dough into 6 equal pieces. Using the palm of your hand to your finger tips, roll the dough with light pressure until dough becomes 1″ thick ropes…or “gnocchi cigars” Using a dough scraper (if you don’t have a dough scraper, a pizza cutter works great). Cut rope into 1″ pieces and place on lightly floured wax paper and set to the side. Repeat for all ropes. Bring a separate saucepan to medium heat. Add 1 stick of butter and allow to melt and cook down. Bubbles will occur, don’t freak out! This is what you want. When the butter has melted completely, add all sage leaves. Lightly stir occasionally until the butter begins to lightly brown. Remove from heat and stir in cinnamon, maple syrup and salt/pepper and set saucepan to the side. Put a large pan over medium-high heat and add 1 tbsp of Extra Virgin Olive Oil (EVOO). When pan is ALMOST smoking, add half of your cooked gnocchi to the pan for 1-2 minutes…you want a nice sear on your gnocchi for max flavor! Flip gnocchi for even sear on both sides. Add the other half of your gnocchi to the pan and the brown butter mixture. 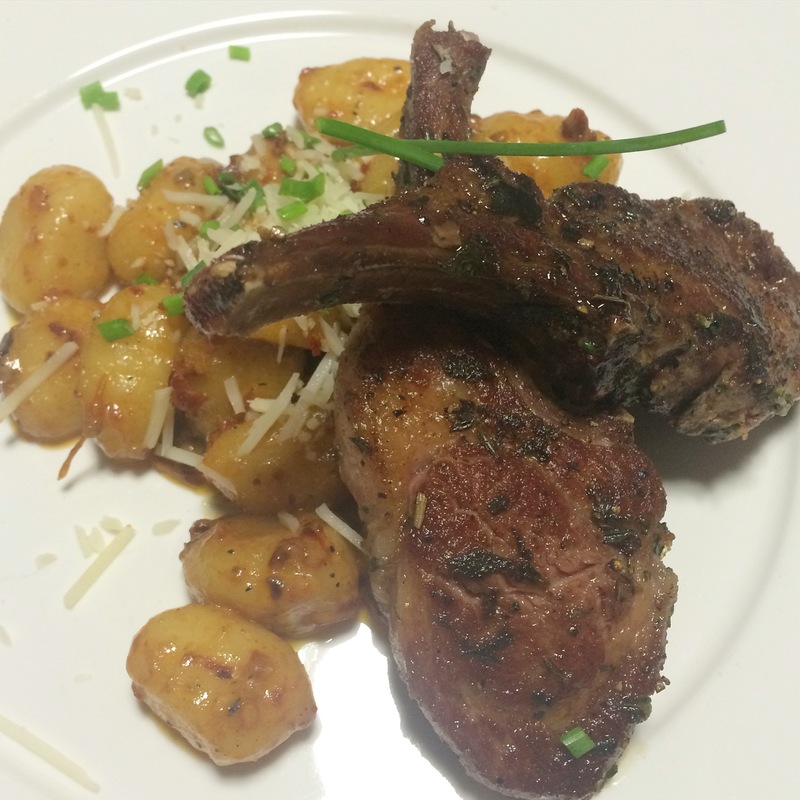 Lightly toss gnocchi over low heat in butter mixture coating all sides for 1-2 minutes. Serve gnocchi with a little freshly grated parmesan cheese and enjoy! 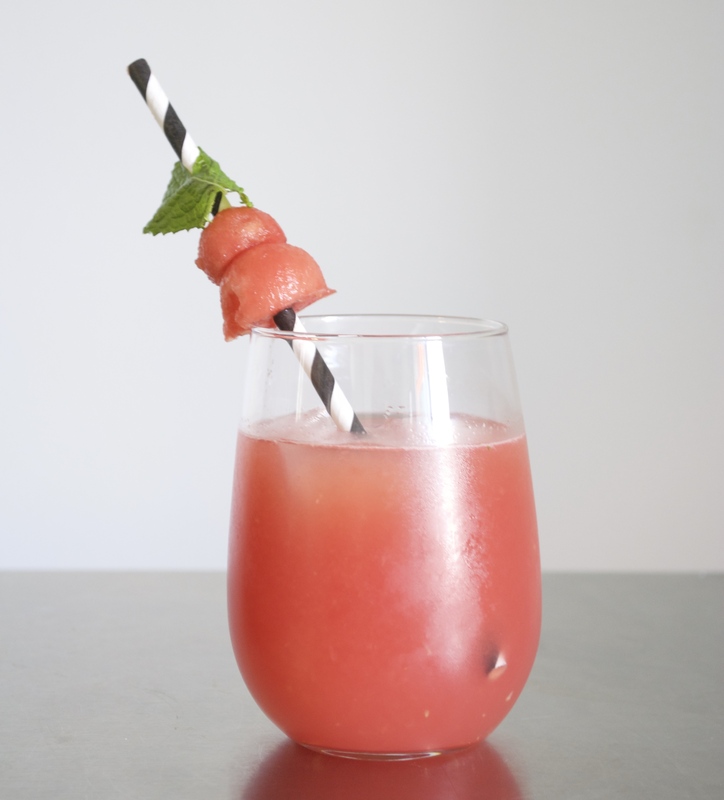 Beat the heat with this refreshing and surprisingly awesome cocktail! You probably thought I spelled “buffalo” wrong…NOPE! “Bufala” is actually a female water buffalo who’s milk is rare and expensive and is used to make buffalo mozzarella. Grab your lighter ladies and gentlemen…it’s time to light your grill! Crank it all the way up to HIGH heat – beef should always bee cooked over high heat to seal those juices in! 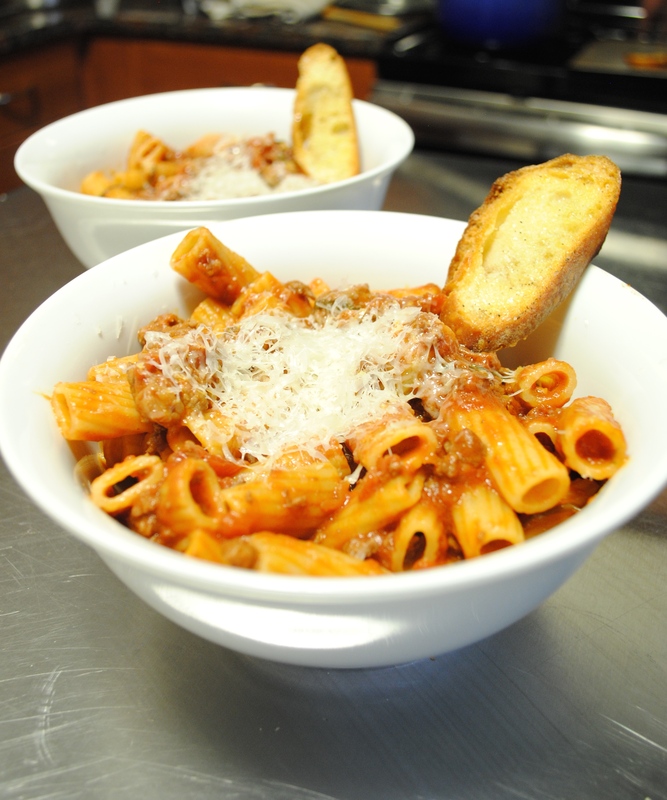 In large mixing bowl, add all ingredients and combine with ground beef. I like to use my hands for this job – they are the best tools we have! Be careful not to over work the mixture to avoid dry burgers. Section out beef into 1/4″ thick round patties – again, be careful not to over work your burgers! Set aside. *Quick Tip: Before cooking ANY meat, you want it to be at room temperature, especially when grilling. This ensures a perfect sear and locks those juices in. Place patties on grill over high heat and cook 3 minutes on each side (flipping only once). Place fresh buffalo mozzarella on patty after first flip. 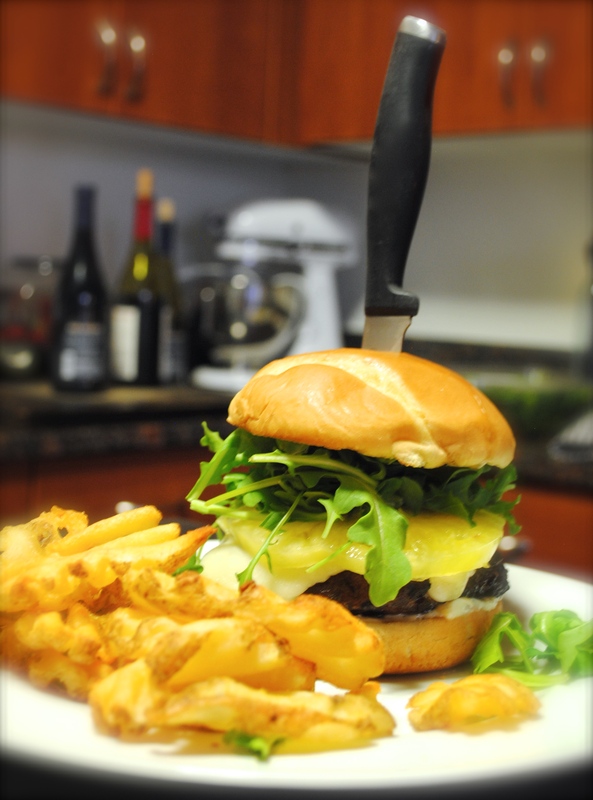 Once burger has cooked and cheese has melted (about 3 minutes) remove patties and set aside to rest. This seals in all those juices. Place brioche buns on top level of grill face side down for toasting. This should only take a couple of minutes so watch your bread! Once buns are lightly toasted, build your burger. I like to use a little mayo on the bun and top burger with arugula, heirloom tomato and mustard. This one could get messy! 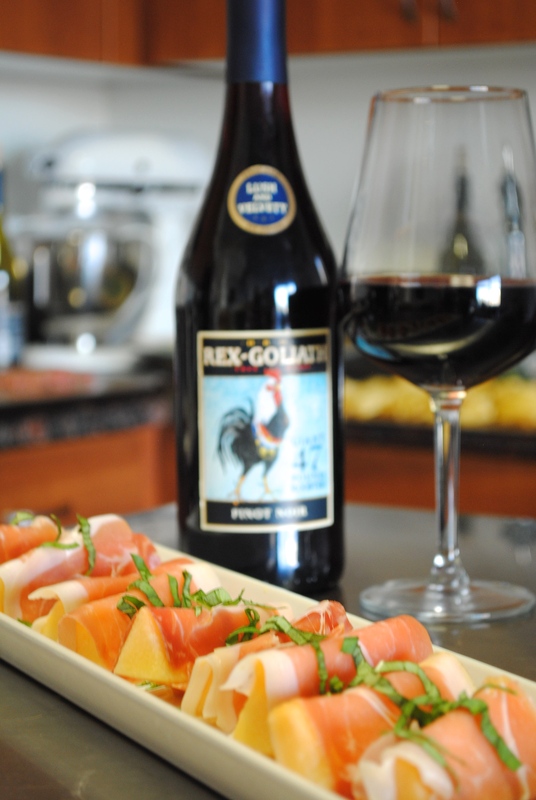 Wrap fresh melon with thin slices of prosciutto (seam side down). Garnish with fresh Basil and arrange lengthwise. Heat 2 tbsp of extra virgin olive oil in the bottom of a dutch oven or heavy duty pot over medium-high heat. Add shallots and cook down until translucent (about 4-5 mins). Add garlic and cook for 1-2 minutes – watch your garlic and be sure not to let it burn! Add ground lamb and cubed lamb chop and cook for 2-3 mins breaking up the ground lamb until it is no longer pink. Add tomato paste and pour red wine into pan and stir. Let the wine reduce about 5-6 minutes. Add the can of Sam Marzano tomatoes and stir until combined. Reduce heat to low, cover and let cook for at least 1 hour or up to 90 minutes. Once cookies are done, remove from oven and place on a cooling rack immediately. Let cool for 2-3 minutes. 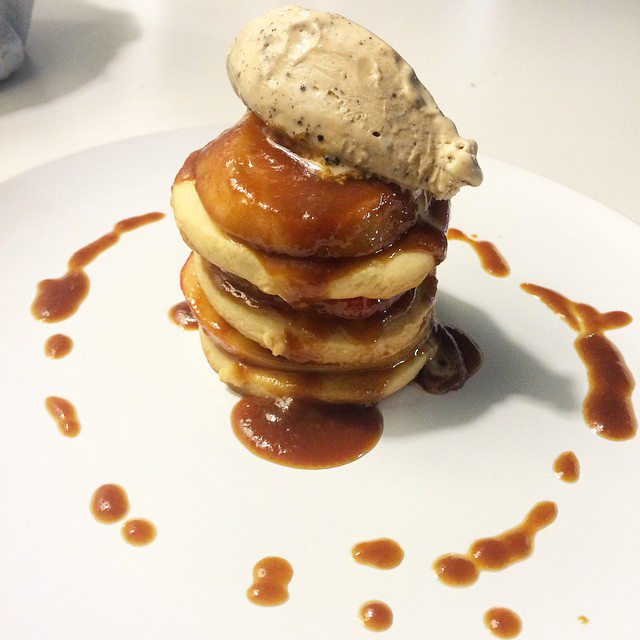 Stack cookies and top with your favorite ice cream and warm Caramel Bourbon sauce! Place chopped shrimp into a large mixing bowl. Add lime juice, lemon juice and orange zest. Let stand for 15 minutes so that the shrimp can “cook”. The acidity from the citrus juices will transform the shrimp from an opaque color to a nice fresh white – watch it transform while it sits in the bowl! Do not let stand longer than 15 minutes. Nobody likes chewy shrimp! Meanwhile in a separate bowl, mix together the cucumber, cilantro, shallots, and jalapeño and add to the bowl of shrimp. Season with salt and pepper. I like to taste the shrimp along the way and adjust the seasoning. Now, grab whatever kind of scooper tool you like! 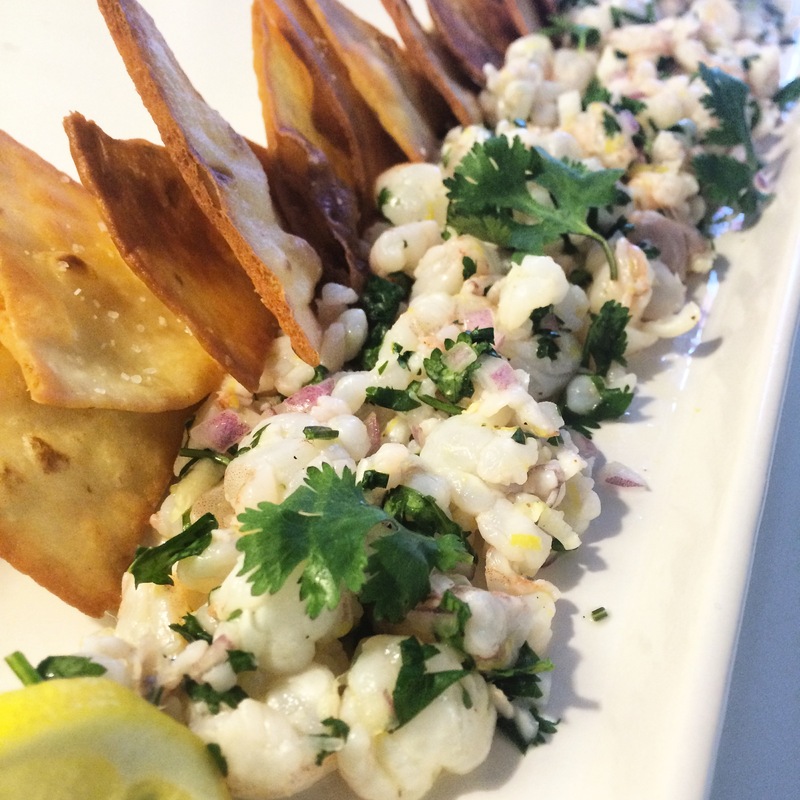 Tortilla chips, crackers, a spoon or even pita chips and enjoy this cool summer meal! Set oven to BROIL. Mix all above ingredients in a bowl and coat tomatoes well. Place tomatoes on a cookie sheet. Place in oven and broil for 3-4 minutes or until the tomatoes start to burst and blister a bit. Remove from oven and let rest. Bring water to a boil in saucepan. Once water is boiling, add the polenta, cook over LOW heat and slowly stir until well mixed. Continue stirring polenta and slowly add the cream. Continue stirring and follow package instructions. When polenta is done add basil, parmesan cheese and salt & pepper to taste – the heat should be turned off at this point. Remember those shrimp you set aside? It’s time to get those bad boys fired up! Place large saucepan over HIGH heat until it just starts to smoke. Add shrimp and all contents in the bowl to the pan and spread evenly. 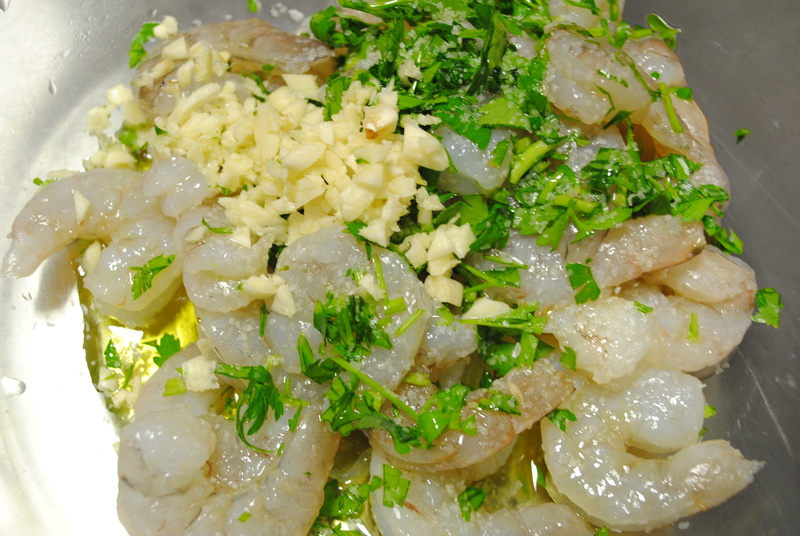 Cook shrimp for about 1 minute on each side and remove from heat – do not overcook! Shrimp will be a nice light pink color if you got it right! 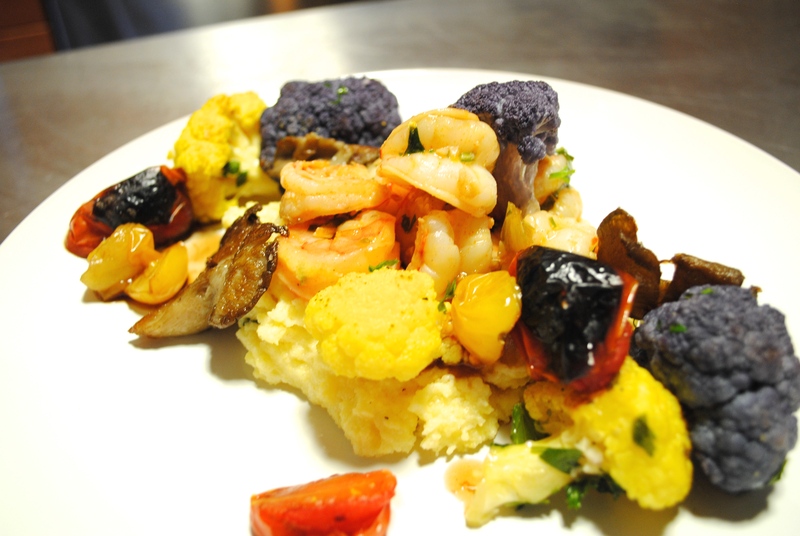 Top polenta with cooked shrimp, roasted tomatoes and parmesan cheese (you can add any roasted veggie as I have if you are extra hungry!) Manja! Heat 4 tbsp coconut oil in non stick pan at med/high heat. Add flour tortilla to oil and “fry” for 1 minute each side or until a nice golden brown and crispy. Remove from pan and add pinch of salt while the tortilla is still warm. Mix tuna, mayo, salt, pepper and green onion together and set aside. Now, the fun part – building your tostada! 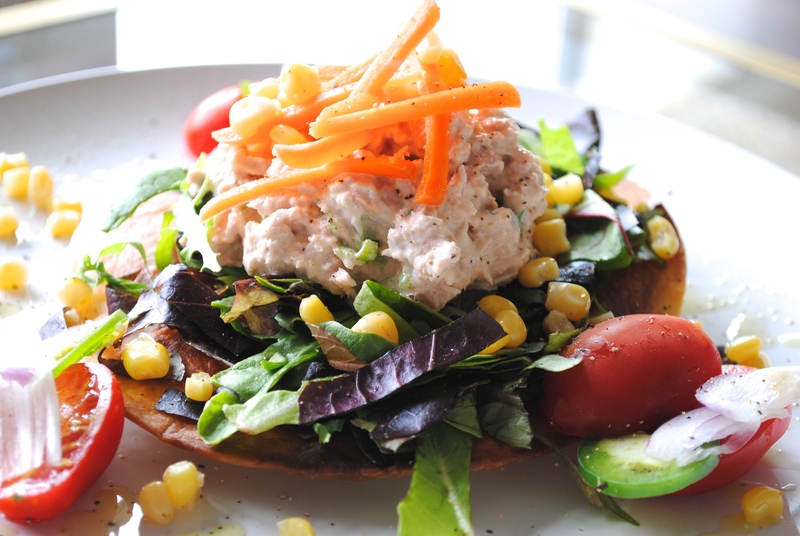 Top the crispy tortilla with mixed greens, tuna, cherry tomatoes and whatever fixings tickle your fancy! Have fun and make this your own! Coat and cover lamb with evoo. Salt, pepper, and chopped herb mix and set aside. Bake potato in oven at 400 until tender. Pull out and let cool. Peel and put potato thru ricer and place in large bowl or on lightly floured surface. Slowly add flour while gently mixing with potato. Be careful here, if you over work this dough it will get tough and chewy. Add the egg, salt and pepper and finish folding and kneading together. Cut into even pieces and roll out thinly over floured table. Cut into gnocchi size pieces and press lightly with fork. Get grill smoking hot and place lamb on grill. About 3-4 minutes per side. Take off and let rest. In sauce pan add butter, sundried tomato and salt and pepper and let simmer lightly until combined. Add gnocchi to boiling water for 2-3 minutes. Add drained gnocchi to sauce pan with butter and toss and cover well.